Auto and Truck dealerships across North America! 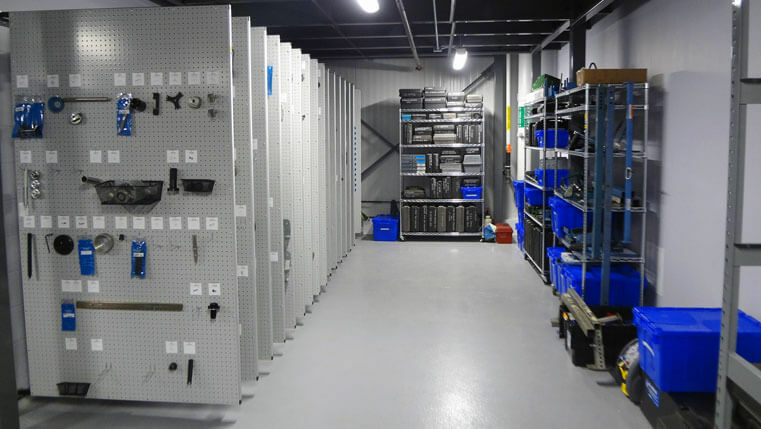 We identify, inventory, sort, and ultimately organize special service tools so they can be found quickly, used, and easily returned to their proper location. The TOS concept is based on visibility and numeric sequence. If you know the tool number, you can find the tool. We are the Solution for Special Tools! 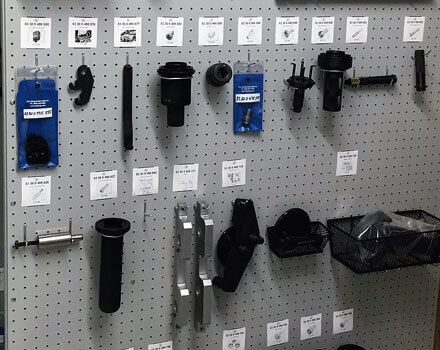 Every dealership service department has Special Service Tools (as determined by the OEM) that allow them to complete vehicle repairs properly and efficiently. The time required to complete the vehicle repair correlates directly with the time involved in “finding” the special tool to make the repair. When the tool is located quickly, the repair can go forward. But when the tool cannot be located, when the tool is “somewhere” in the shop, the repair is delayed. The tech wastes time searching for the tool. Sometimes it is found, other times a second tool is ordered with expedited shipping. Meanwhile the customer does not have the use of their vehicle because it’s still in the shop. All Special Service Tools are inventoried and organized. A complete inventory list of SST on hand and missing, is provided upon completion. What Is Your ROI With The Tool Organization System? We understand that Getting Organized is a financial investment. The Return On Investment comes in the form of increased efficiency and productivity. The tools can be found quickly when needed, used properly, and easily returned to their proper location. More cars through the service department means more revenue. Calculate your ROI using the TOS ROI Calculator to see how quickly Getting Organized pays for itself. The TOS Process Works With Many Different Facilities. 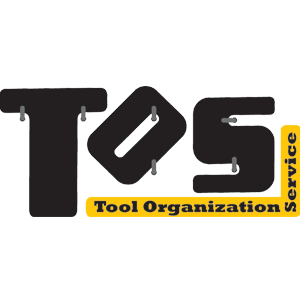 We do not sell tools - We understand that Special Service Tools are an important part of every service department and that Getting Organized is a vital and necessary way to manage these tools as assets. Organized Tools are no longer lost, techs don't have to waste time "hunting" for tools, and every tool has an identified home. 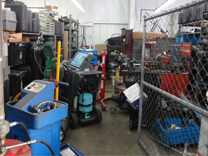 Vehicles are repaired quickly and properly, and customers (and techs) are satisfied. We are the complete special tool solution. Our Tool Organization Service A-Team (Woody & Dawn) inventoried and organized the special service tools at Rush Truck, Waco, TX which takes care of Allison, Caterpillar, Cummins, Hino, Isuzu & Universal. Read the full article on the details of this tool organization solution. 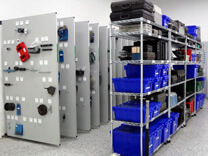 Don't forget to watch the video to see a walk-through of the tool room after its special tools were organized. "Our goal is to increase efficiency through Special Tool Organization!" 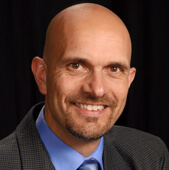 Matthew English is the owner and organization manager of Tool Organization Service in Lapeer, MI. He assists OE dealership service departments in the management of their valuable special service tool inventory. 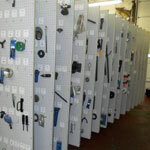 At Tool Organization Service, our Organization concept with Special Tools is based on simplicity. Special Tools are inventoried, and then organized so they are visible, and in numeric sequence. We have Organization Teams that use our detailed tool database and Pivoting Panel System to accomplish this. They identify, inventory, sort, and organize special tools.